William McCulloch, M.B., Ch.B., F.R.C.P., F.F.P.M. 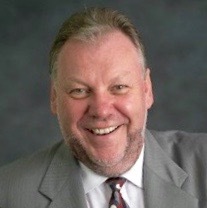 Dr. McCulloch brings to his role as CicloMed’s Chief Medical Officer more than three decades of experience in pharmaceutical research and development, as an executive and consultant to large and small companies focusing on cancer and serious infectious diseases. He has undertaken all phases of drug and technology development, and has been directly involved in filing INDs and NDAs, securing Orphan Drug status for compounds, and obtaining SBIR and other grant funding. As co-founder and president of Alba BioPharm Advisors since 2002, Dr. McCulloch has provided consulting services in drug development, oncology and regulatory affairs for clients. He earned his medical degree at the University of Glasgow and practiced medicine in the United Kingdom for seven years before entering the industry. Howard A. "Skip" Burris, III, M.D. As President of Clinical Operations and Chief Medical Officer of Sarah Cannon, HCA’s global cancer care and research organization, Dr. Burris leads clinical strategy and drug development initiatives, including overseeing physician-led, patient-centric integrated cancer care. He is serving as Principal Investigator for the Phase I clinical trial of Ciclopirox Prodrug. Dr. Burris practices medicine with Tennessee Oncology, PLLC. He has authored more than 350 publications and more than 550 abstracts. He earned his medical degree from the University of South Alabama and performed his residency and fellowship in hematology/oncology at Brooke Army Medical Center. John A. Taylor III, M.D., M.C.T.S. Dr. Taylor is a board-certified urologist and nationally recognized expert on bladder cancer. His work has been recognized by multiple peer-reviewed publications and several U.S. provisional/full patents. He joined the University of Kansas Medical Center in 2016 and serves as a Professor, Director of Basic Urologic Research and Co-Leader of the D3ET Program. He will serve as Principal Investigator for clinical trials in muscle invasive and non-muscle invasive bladder cancer patients. Dr. Taylor also founded and serves as President and Director of the Leo & Anne Albert Institute for Bladder Cancer Care and Research. He earned his medical degree at Columbia University’s College of Physicians & Surgeons, where he also completed his internship and residency in general surgery and urology. He served three years on active duty at Walter Reed Army Medical Center and was Director of Medical Education for Urology and Assistant Professor at USUHS. He then took a faculty position at the University of Connecticut Health Center, and while there completed a Master’s in Clinical and Translation Science. Dr. Taylor runs a translational research laboratory focused on identification and development of novel compounds for the treatment of bladder cancer. He participates regularly on national and international committees to develop standards for bladder cancer care and has served on the AUA’s research council, the NIH/NCI Bladder Cancer Task Force for Clinical Trial Development and as an ad hoc member of the FDA’s Oncologic Drug Advisory Committee. Dr. Steinberg specializes in urologic oncology. He serves as Bruce and Beth White Family Professor, Professor of Surgery and Director, Urologic Oncology at the University of Chicago Medicine and its Duchossois Center for Advanced Medicine. Dr. Steinberg has more than 25 years of expertise in developing innovative surgical procedures for patients with bladder, kidney, testicular and prostate cancers; performing continent urinary reconstructions in patients who have their bladders removed due to cancer; and performing robotic-assisted laparoscopic radical cystectomies. Dr. Steinberg is also the chairperson of the scientific advisory board of the Bladder Cancer Advocacy Network and the executive committee of the Bladder Cancer Research Network. He was trained at the University of Chicago Pritzker School of Medicine and completed his internship, residency and fellowship at Johns Hopkins University. He is also a member of American College of Surgeons, American Society of Clinical Oncology, American Urologic Association, Chicago Urologic Society, Illinois State Urological Society, and Society of Urologic Oncology.